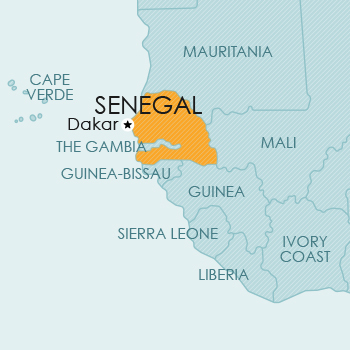 Senegal is an independent republic in West Africa, bounded on the north by the Islamic Republic of Mauritania, on the east by Mali, on the south by the Republic of Guinea and Guinea-Bissau, and on the west by the Atlantic Ocean. Senegal surrounds The Gambia on the land side. Provision is made for copyright protection in OAPI member countries in terms of the Bangui Agreement. In Senegal new legislation on copyright was enacted – Law no 2008-09 of 2008 on Copyright and Related Rights.